Welcome to Rulli Chiropractic Clinic! Welcome to the Rulli Chiropractic website! Dr. Nicholas Rulli is committed to relieving your pain using the principles of chiropractic care. Our office is conveniently located in Richmond, near both I-95 & I-295. With many years of chiropractic training and education under our belt we have treated many patients with conditions ranging from tendonitis to scoliosis to herniated disks to whiplash. We have had stunning success with these conditions and many others. Patients seeking treatment at Rulli Chiropractic are assured of receiving only the finest quality care, because Dr. Rulli and his staff share a genuine concern for your well-being. 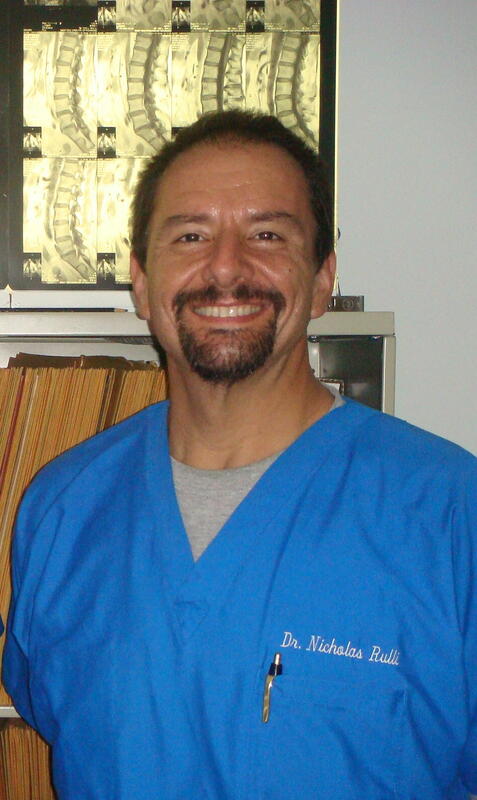 Dr. Nicholas Rulli has been practicing chiropractic since 1992. His office is located on the Northside in Richmond, Virginia. He is dedicated to helping you achieve your healthcare objectives - combining skill and expertise that spans the entire chiropractic wellness spectrum.